A BEAUTIFUL PIECE OF PROPERTY WAITING TO BE CALLED HOME! 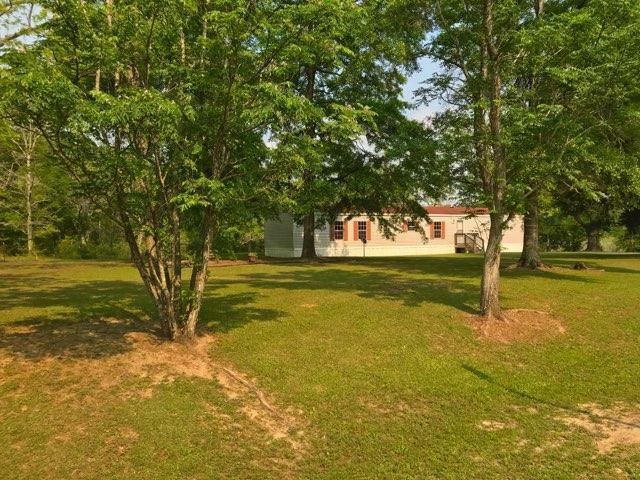 This parcel has a single wide mobile home that is well kept and perfect for a first home or live in while you build that dream home! The mobile is very nice and would make a lovely home, BUT the real gem is the property... 13 acres with it's own private pond! Only wet areas are around the pond, plenty of high and dry land for building. Seller replaced the HVAC unit within the last month, no repairs are needed that we are aware of at all. Huge back porch overlooking the pond and property makes for a private oasis to enjoy the morning coffee or evening sunsets. Take a look and make this your country home! !